AeroMet offers screw machining services using single and multi-spindle automatic screw machines with capacities up to 2 5/8 inch bar stock. 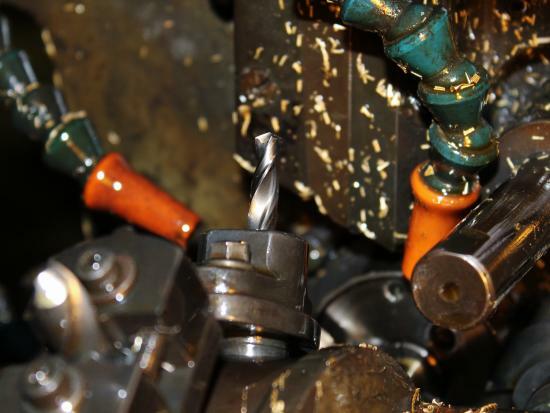 Our screw machines consist of Brown and Sharpe, Acme, Greenlee, and Conomatic screw machines. Our single-spindle screw machines handle materials as large as 2 3/8 inch in diameter, and our multi-spindle screw machines handle materials as large as 2 5/8 inch in diameter. Although we generally work with round and hexagonal bar stock, we can accommodate virtually any shape. Our machine shop has 26 single-spindle and 14 multi-spindle screw machines, allowing us the ability to manufacture parts in large quantities.